Just grab 'em in the biscuits. The sweet cranberry biscuits, that is. These biscuits are fluffy with a buttery, soft crumb. The cranberries are tart and pop in your mouth and yield to a subtle sweetness awash with a lemony aftertaste. 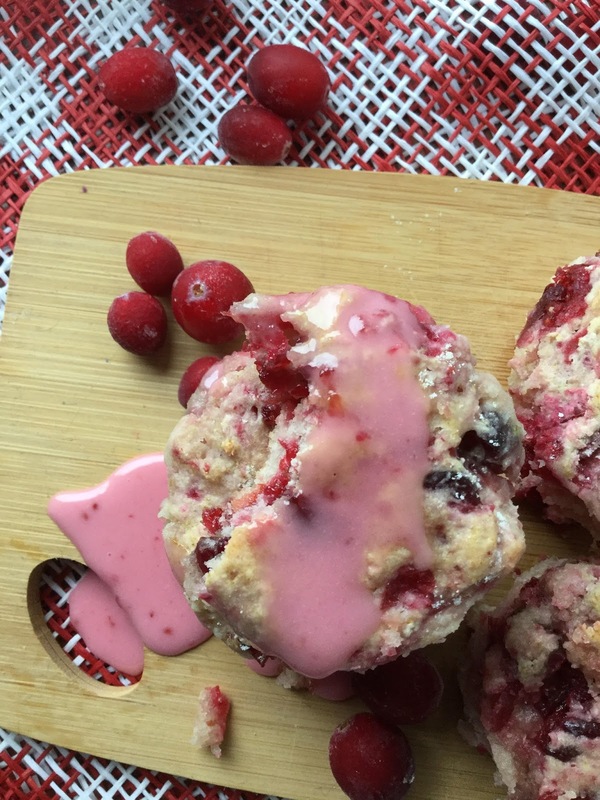 When you add the pink cranberry icing, the moist biscuit blooms with extra flavor. You'll happily lick your fingers with joy. I love baking biscuits more than any other thing in the world. When I'm pressed for what to bring to a party, my first thought is biscuits (but I always take Doritos; no one ever gets upset at the girl who brings Doritos) While brainstorming ideas for the Cape Cod Select Blogger Challenge, I vacillated between bars, doughnuts and biscuits. Biscuits will always win because everybody loves biscuits. 'Tis the season for cranberries and what better product to use than frozen cranberries, namely Cape Cod Select Premium cranberries! Based in Carver, Massachusetts, Cape Cod Select employees have over 75 years of experience bringing fresh, premium cranberries to customers. In 2009, Cindy Rhodes founded Cape Cod Select, the retail face for the Edgewood Bogs Cranberry Growers. 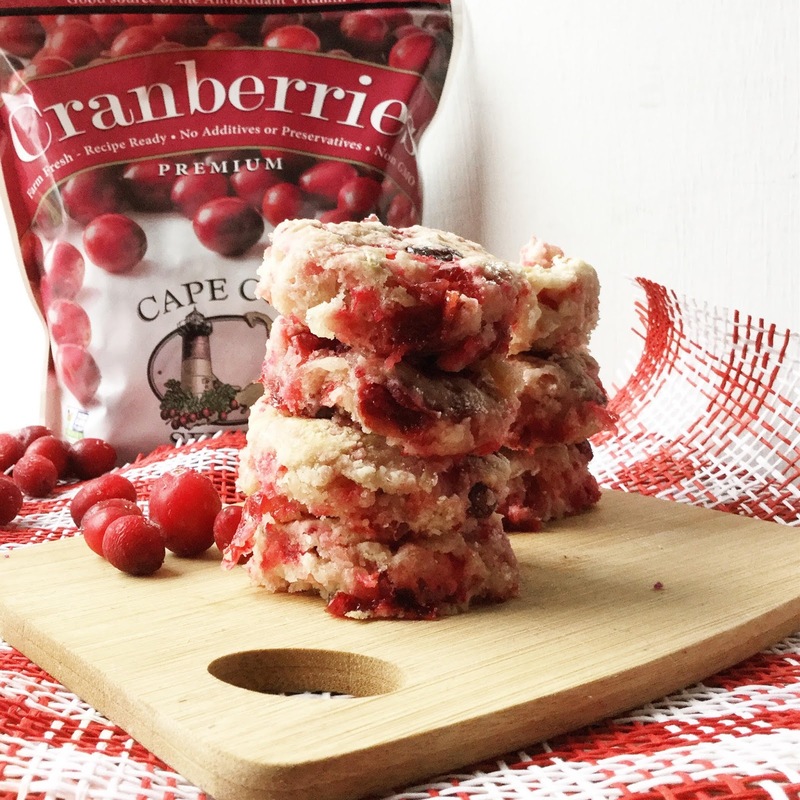 Cape Cod Select's goals are simple: Provide the public with “Cranberries for All Seasons”, and make them the best quality on the market. I've not used many frozen fruit brands, but I'm here to say these cranberries are pretty solid. 1. Preheat oven to 400°F. In a saucepan over medium heat, combine the Cape Cod Select Premium Frozen Cranberries and sugar. Cook, stirring occasionally until all of the cranberries have popped, and the mixture is thick, about 15 to 20 minutes. Remove from heat, add lemon extract, stir to combine and set aside to cool. 2. Sift flour, baking powder and salt into a large mixing bowl. Cut butter into flour in the mixing bowl using a fork or a pastry cutter. Return dough to bowl, add milk, cooled cranberry mixture and stir with a fork until it forms a rough ball. 3. Turn the dough out onto a well-floured surface and pat it down into a rough rectangle, about an inch thick. Fold it over and gently pat it down again. Repeat. Cover the dough loosely with a kitchen towel and allow it to rest for 10 minutes. 4. Cut dough into biscuits using a floured glass or biscuit cutter. Do not twist cutter when cutting; this crimps the edges of the biscuit and impedes its rise. 5. Place biscuits on a cookie sheet and bake until golden brown, approximately 20 to 25 minutes. Place biscuits close together for fluffy texture. Place them 2 inches apart for biscuits with crusty edges. Mix ingredients in the same saucepan used to make the cranberry mixture using a whisk. Pour icing into a piping or Ziploc bag. Snip the end and drizzle over the biscuits. Serve biscuits warm or room temperature. Love these! They look so good and that icing -- yum! Oh my goodness! I'm SUCH a cranberry girl! These look incredible! I love biscuits too! The icing on these looks to die for! I am LOVING these biscuits! And I love that you added cranberries here! Cape Cod Select is the best! 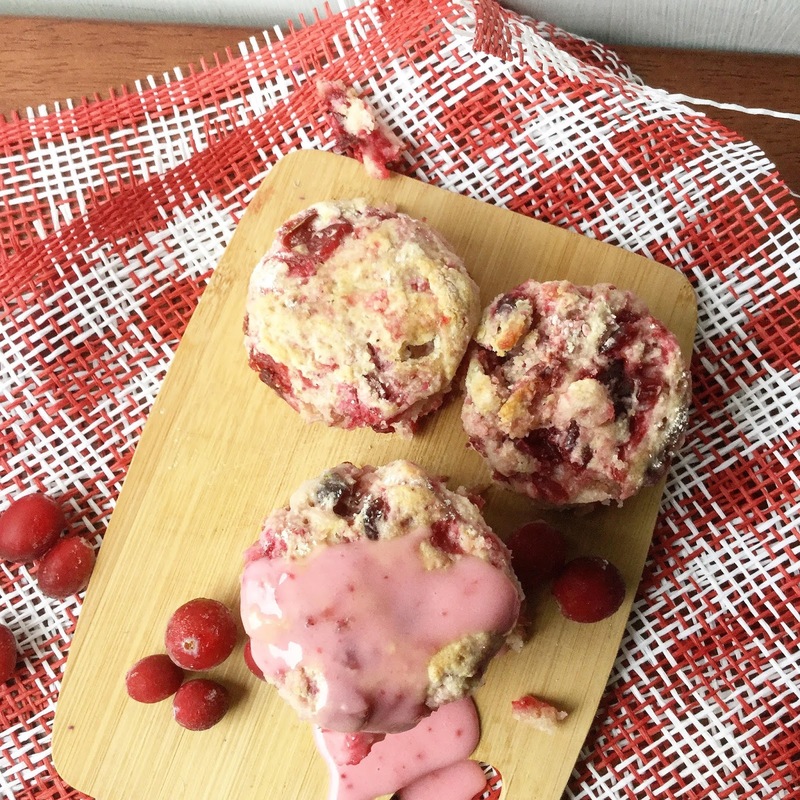 Those cranberries look incredible! What a treat these would be! That glaze looks especially awesome! So pretty, too.